Los Angeles is an urban oasis that sprawls across miles of Southern California. The city is a fantastic vacation spot with beautiful weather, tons of tourist attractions, and warm, welcoming locals. 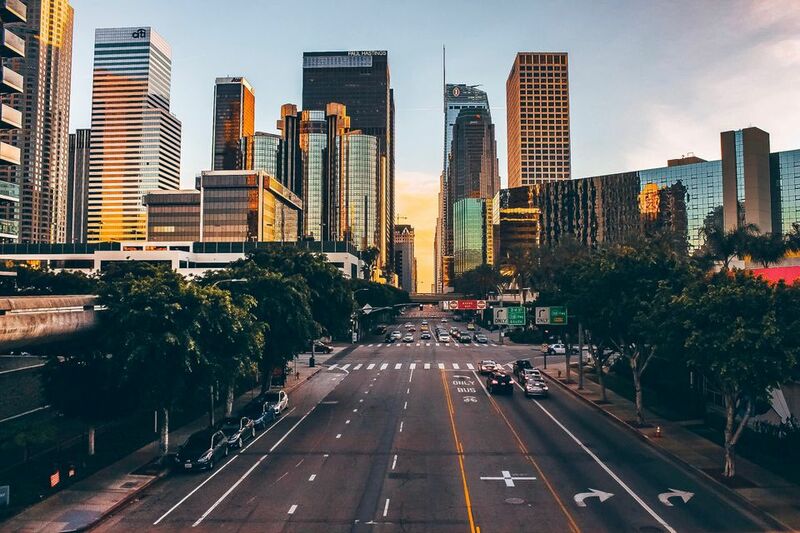 But before heading to L.A., be sure to prep for the trip by learning how to avoid traffic, find the best deals on hotels and food, and which tourist attractions aren't worth your time. Know the Weather: Visitors might assume that the weather in Los Angeles is always sunny and perfect, but there are variances across seasons. Summer weather can be quite warm in Los Angeles, but it almost always cools off at the beach in late afternoon. Winter can be rainy, and you may not expect the "June gloom" marine layer which often obscures the sun for weeks at a time. Be even smarter and check the forecast for the right spot: Temperatures vary within just a few miles. When it's 72 F in Santa Monica, it might be 80 F downtown and even hotter in Pasadena or Anaheim. A weather app is the best option to know what to expect in each part of the city. Spend Smart: There are some surprising ways to save money in Los Angeles. Dining on great food doesn't have to break the bank as many amazing restaurants offer lunchtime specials on their most popular dishes. How about excursions that cost nothing at all? Visitors can get free tickets to attractions like television tapings, museums, and cultural events. The Guide to Saving Money in Los Angeles includes little-known facts, like that airline fare comparison websites will typically omit flights from Southwest Airlines. Avoid the 405: This freeway seems to be perpetually gridlocked, especially between US 101 and Long Beach. You can get in a traffic jam on it anytime, whether it's rush hour, midnight on Tuesday or noon on Sunday. The GPS that comes with your rental car will be a significant help in plotting the best route when navigating the streets of Los Angeles. Depending on where you are and where you're going, consider using the Metro Rail instead of driving. Pick the Best Hotel for Your Trip: LA is a sprawling city, and the best place to stay depends on what you'll be doing. For beach goers, Santa Monica is the spot, while Downtown LA is a better fit for those that prefer a more urban setting. West Hollywood is a very central location, but Hollywood is the epicenter of many tourist attractions. Understand the Geography: The Los Angeles metropolitan area covers five counties. It can take almost all day to drive across it from north to south. You can attack it in two ways: 1) Figure out what you want to do while you're here. Mark the locations on a map and visit them in groups. 2) Focus: Pick an area to stay in such as Hollywood or the beach cities and visit the attractions in that area. Attempting to travel between two sites that are far apart will result in lots of time spent stuck in the infamous LA traffic. Choose Your Airport: Los Angeles International Airport (LAX) is the best-known, the busiest, and most hectic airport in the area—it's also prone to delays. Consider flying into alternative but nearby airports, like Burbank (BUR), Orange County's John Wayne Airport (SNA) or Long Beach (LGB) instead. Know what to Expect in Hollywood and Beverly Hills: In Hollywood, you'll find museums featuring memorabilia from Hollywood's past, the Walk of Fame, and the famous footprints at Grauman's Chinese Theater. But you won't find movie stars living there or in Beverly Hills. Most of the studios moved out years ago. Skip the overpriced movie star home tours, and don't buy the maps you'll find sold on the roadside. If you really want to see a star or two, the most reliable way to do it is to get tickets to be in a Los Angeles studio audience. Go to the Beach: The water's a little too cold for all the but the hardiest swimmers or surfers in wetsuits, but it doesn't keep people from flocking to the sand. Join the locals to watch beach volleyball games while you stroll along the beachside sidewalks. In Manhattan Beach, Hermosa Beach or Redondo Beach, you'll join rollerbladers, bicyclists, and runners. Visit Venice Beach for a taste of the unusual. Or head to Orange County's Newport Beach or Huntington Beach for surfing and sand castles. Save Money on Admissions: If you're visiting several attractions with admission fees, think about buying a multi-attraction discount pack. The Go Los Angeles Card offers a lot of things to do. But be sure you'll use enough of them to make it worthwhile before you purchase. Try the Southern California CityPass for discounts on the major theme parks like Disneyland and Universal Studios. Use an App: Apps are a helpful way to make your trip easy, fun and make you feel like a local instead of a tourist. Use these apps and you will look like a pro getting around LA.